﻿ stamped roller plug dead shaft roller - Metalldrückerei für Tiefziehen! Zhejiang Balford Machnery Co.,Ltd. focused on difficult stamping and deep-drawn technologies. The main products are DC motor housings, motor covers, motor shells, motor lids, motor cases, metal rings, bracket, metal box, motor cans, stampings, punchings, pressings and difficulty custom deep drawn stamping products. Zhejiang Balford Manufacturing services food, aviation, medical, automotive, electronics, aerospace industries, and many more with custom and standard ZERO style deep drawn metal parts, boxes, cases, cups,caps, canisters, instrument housings and shells. KEYWORDS: Deep drawn part, deep draw part, deep drawing part, deep drawn stampings, precision deep draw metal stampings, deep drawn metal parts, deep draw stamping, deep drawing & metal fabrication, deep drawn bottle precision drawn and stamped metal component, deep draw components, deep drawn metal enclosures and housings, deep drawn enclosure, deep drawn shell, deep drawn housing, deep draw forming , deep drawn case, cans, caps, collars , box, cylinder, custom deep draw, components, connectors, deep drawn pressing, couplings, cups, enclosures, eyelets, ferrules , fittings, housings, sensors, shells, sleeves , tubes, deep drawn metal cylinders, shells, canisters, hollow metal components, seamless metal components, Hydroforming, deep drawn tank, mechanical part, progressive die stamping, engineered component, customized sheet metal part, pressing, brazing vibration deburring, zinc plating, chrome plating, nickel plating, tin plating, silver plating, anodization, oxidation, powder coating, galvanization, hot dip galvanization, electro-polishing , phosphate ,passivating, silk screening, polishing,sand blast, heat treatment, hair-lined, light oiled ,conversion coating,hard coat anodize,hard anodized,brushed, threading, beading, side notch, reverse draw,side pierce, necking, bulging,standoffs, pem nut,riveting, countersinking,reaming, press fitting alumium 5052,2014,3003,6061,2014-T6, Cold Rolled Steel (CRS) 1008, 1010, 1050,spring steel mild steel, hot rolled steel SPHC,SPHD, Q195,235,345, High Strength Low Alloy Steel (HSLA) grades 50, 60, 70 and 80 ,galvanized steel ,stainless steel AiSi304,303,316,316L,430,321,etc. At Zhejiang Balford, maintaining close tolerances in the manufacture of stamped motor housing parts is the direct result of our close attention to quality control. In fact, for T.I.R. values governing our motor housings‘ perpendicularity to their mounting & assembly flanges, Zhejiang Balford is capable of manufacturing stamped motor housings that hold concentricities between 0.01-0.1mm. This focus on close tolerances also covers bearings. 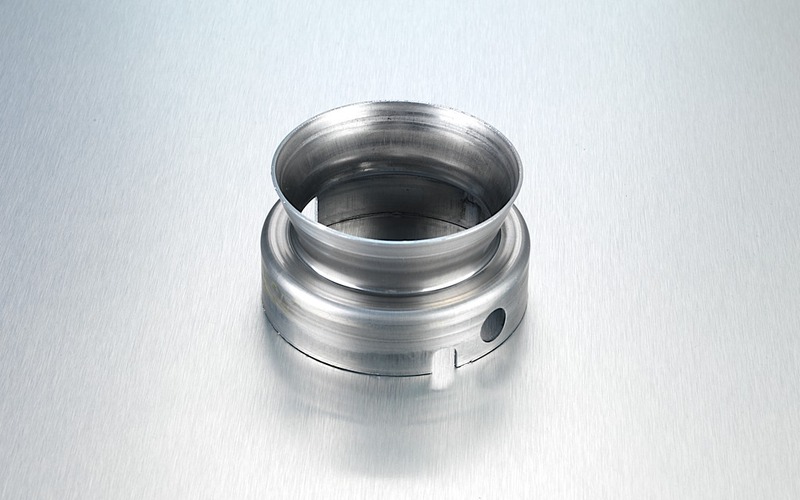 By holding bearing pockets to a 0.01mm total diameter tolerance, Zhejiang Balford is able to minimize bearing pound-out, with a resulting extension of bearing life. automotive | Balford Machnery Co.,Ltd.